Hi, everyone. 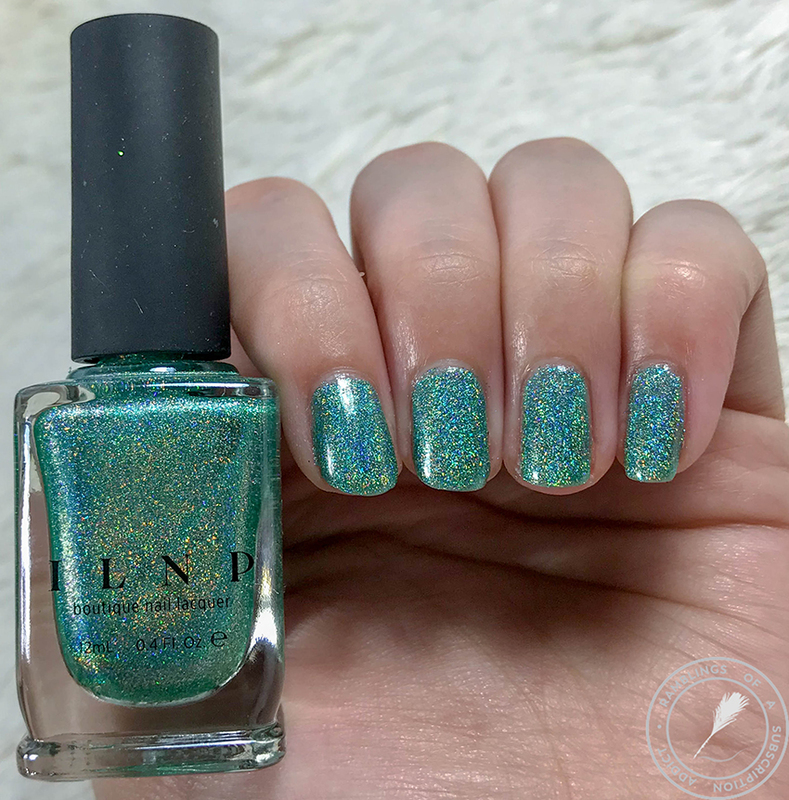 Today I have a brand that I've bought a ton of polishes from and have worn so much in the past but somehow haven't shared on here. 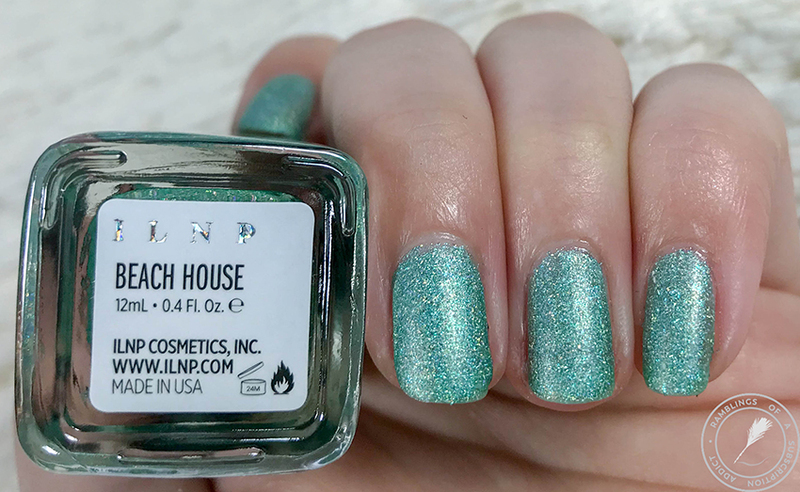 This was one of the first brands I ever purchased so I can't believe I haven't shared any swatches. 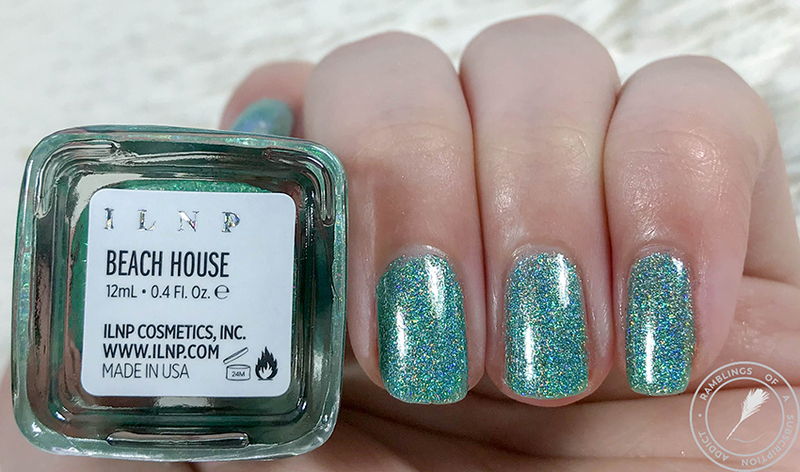 This brand has been around for so long and there are so many shade and finish options so everyone is able to find so many polishes they want from the brand (I currently have a $100+ cart waiting for me to decide if I need more polishes right now). 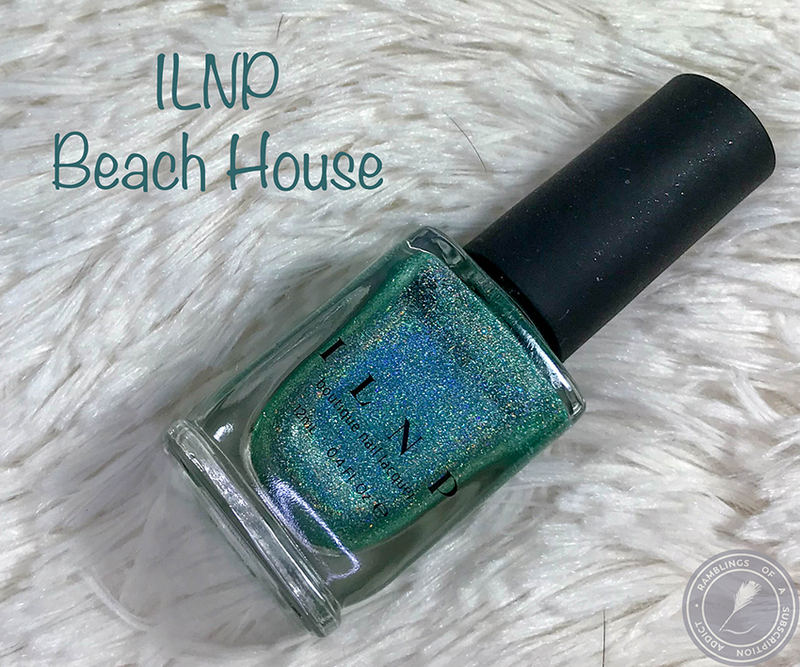 Beach House is a gorgeous Ultra Holographic aqua-blue nail polish. I was instantly in love with this shade. Is it blue? Is it green? Who cares?! 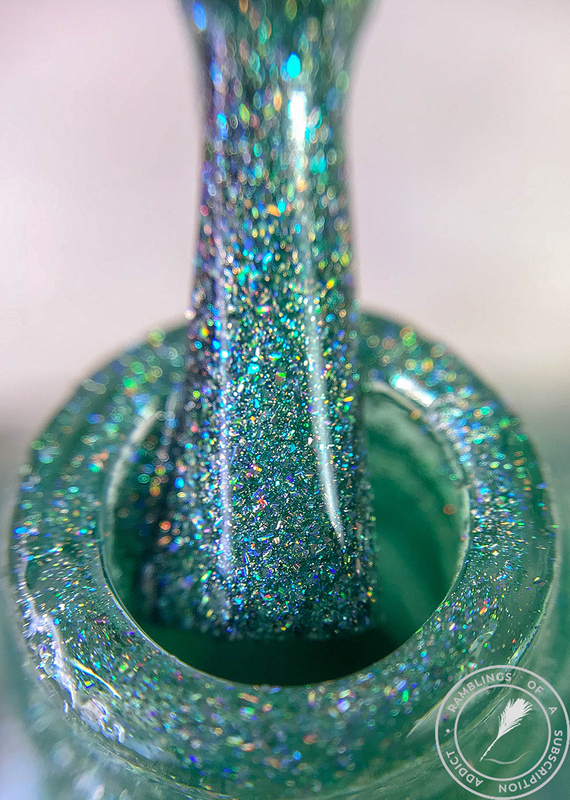 This polish is part of their Ultra Holographic collection which means the holographic will always be amazing. 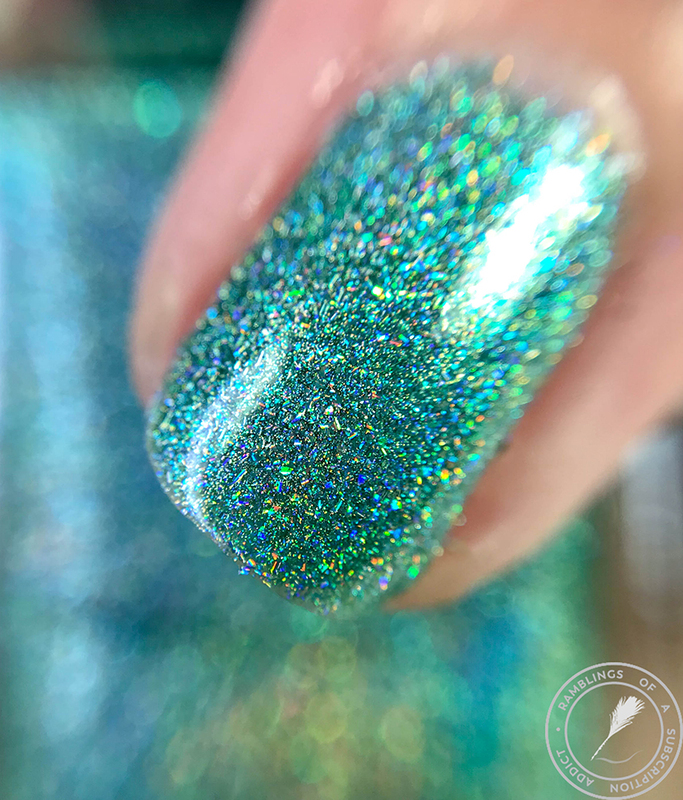 Look at that holographic! I'm in love. 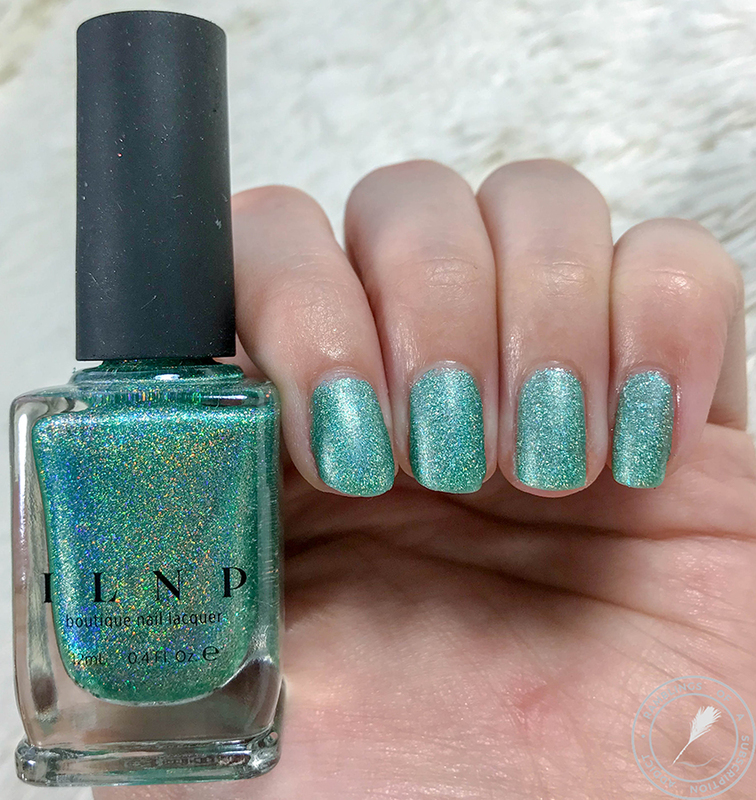 The polish applied amazingly like all of the other ILNP polishes. This is super pretty even matte. 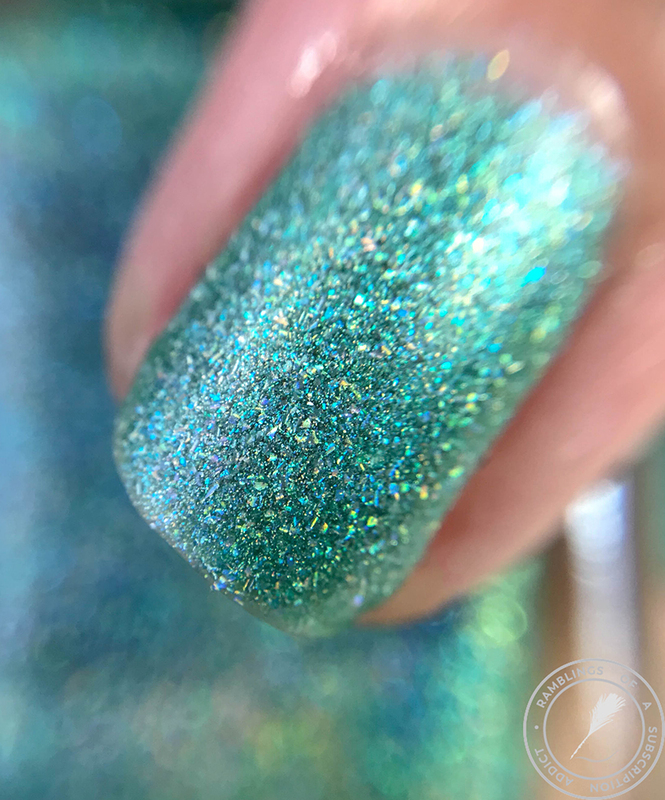 The holographic isn't very evident but the actual shade of this polish is so nice that I'd totally wear it even without the holo.